March is one of Rocky Mountain National Park's snowiest month. The weather in RMNP in March can turn on a dime and change quickly. 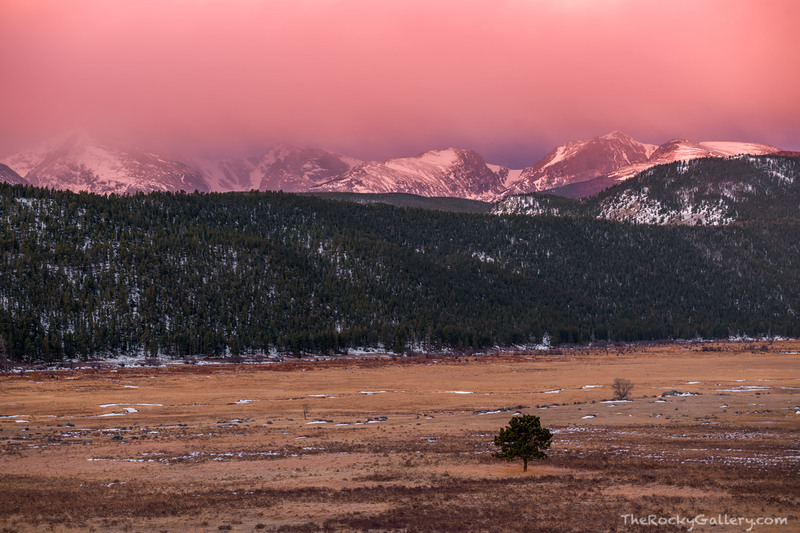 At sunrise in Moraine Park, the snow is casting a forboding pink glow on the continental divide as snow begins to encompass the peaks. Thatchtop, Taylor,Otis,Hallett and Flattop Mountain will be soon be obscured leaving only the frozen Big Thomspon River snaking through the meadow of Moraine Park Visible. Photo © copyright by Thomas Mangan.